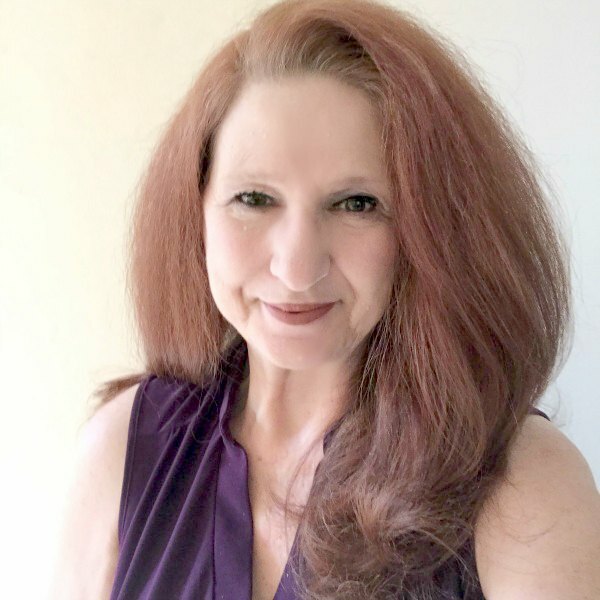 The implementation step of my three steps to reaching a goal is obviously the most daunting, but once the goal has been met, it’s definitely worth it! 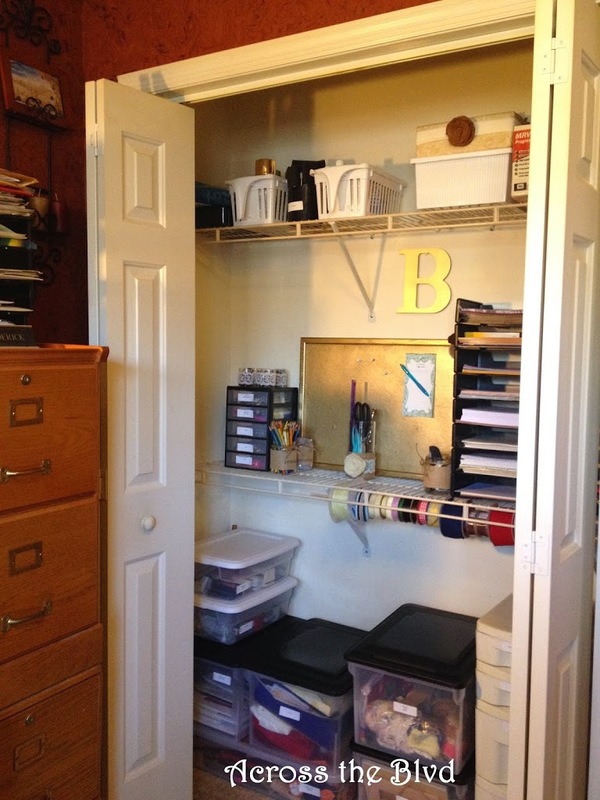 I set out to reorganize my home office and turn a messy closet into a craft supply storage space. I had to do a thorough job of sorting, relocating and discarding. 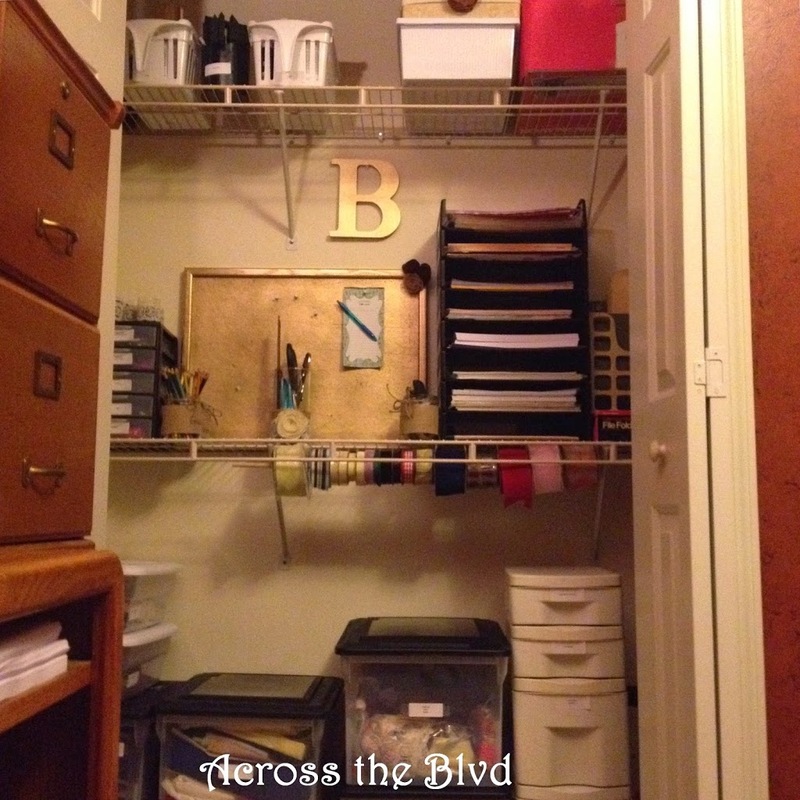 The catch all closet is now a functional craft supply storage closet and I could not be happier with the results. If you didn’t see my What’s Behind the Door? post that included the first step of this process, you missed this. 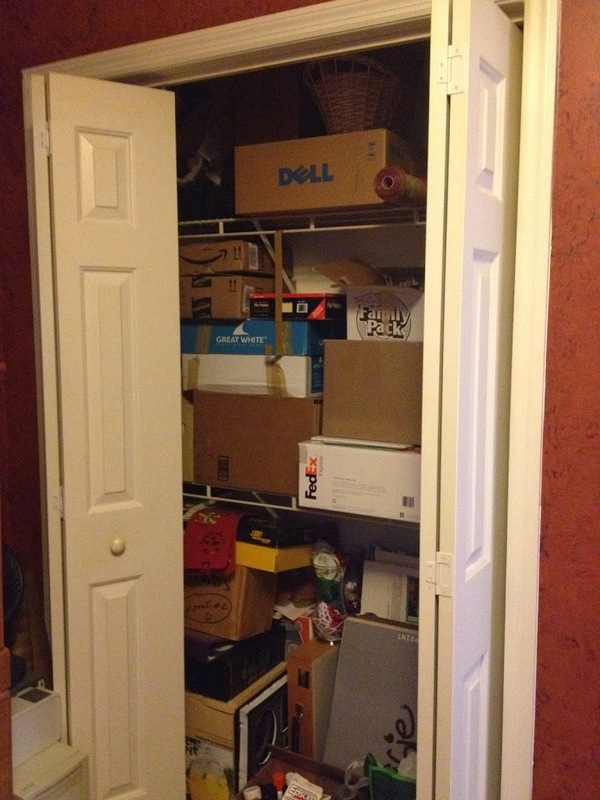 I was a little overwhelmed with the amount of stuff that had been crammed into this closet over the last ten years, but I was determined to change it. 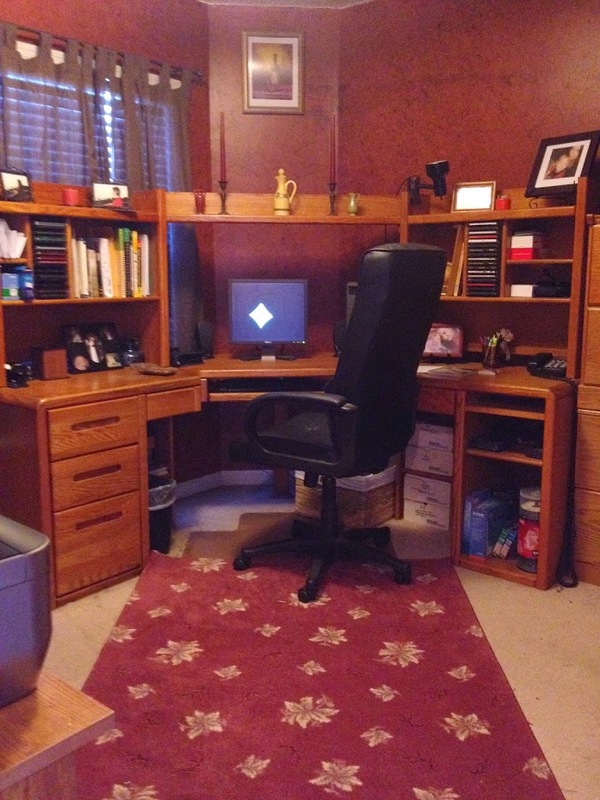 Along with the closet space, the entire office area was in need of reorganization. I sorted, discarded or relocated mounds of stuff. Two desks and a tv cabinet were overflowing with too much stuff, much of which could either be filed away or discarded. My large desk is now clutter free, the drawers are organized and I’ve kept only a few photos and decor items. The basket underneath serves a catcher for anything that needs to be shredded. The other desk has also been decluttered and mail is now neatly organized into in/out slots. 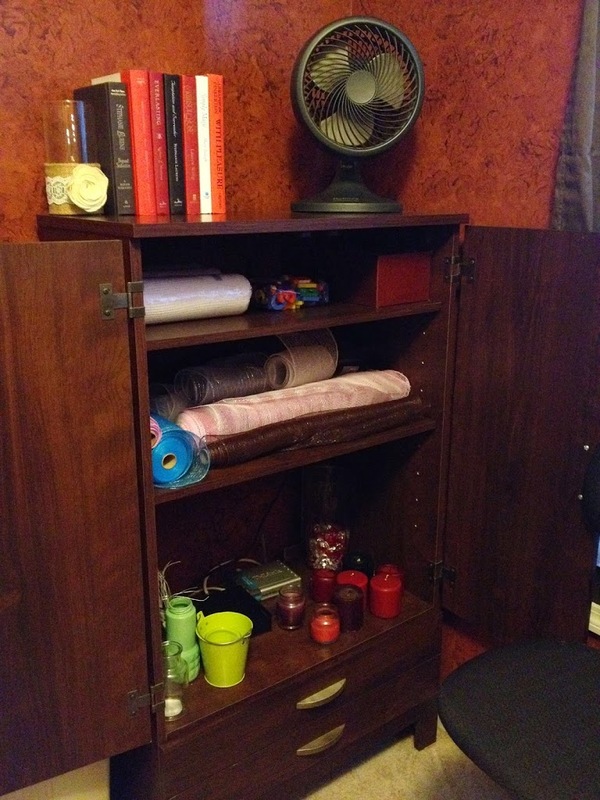 With the television relocated to a guest room, the cabinet gave me lots of space for storage. It makes a great spot to keep my deco mesh, some candles and some of my smaller jars. 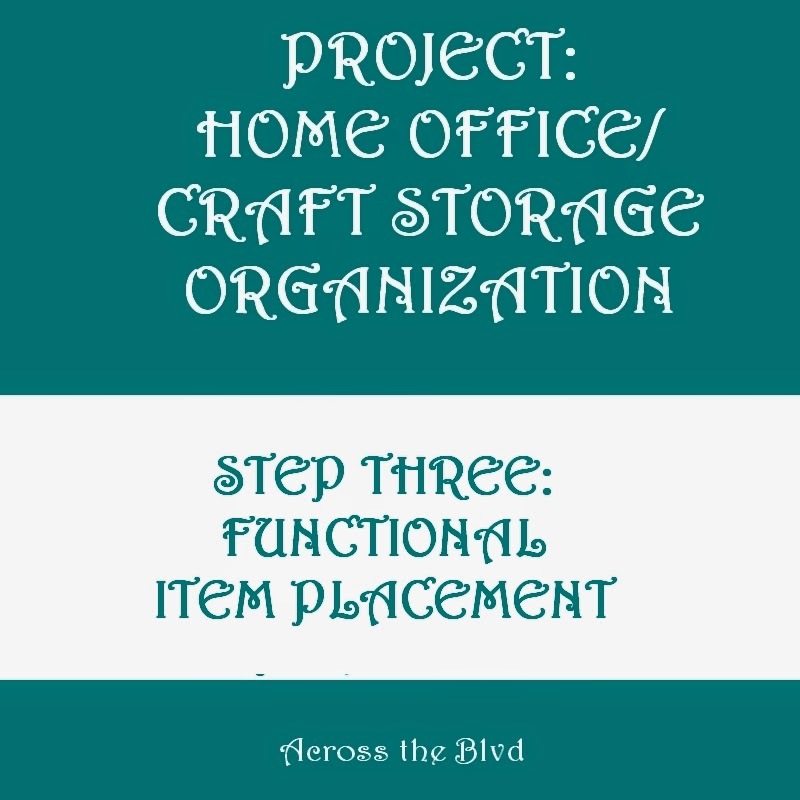 The closet project is the center of this entire reorganization project. The goal was to have functional item placement. 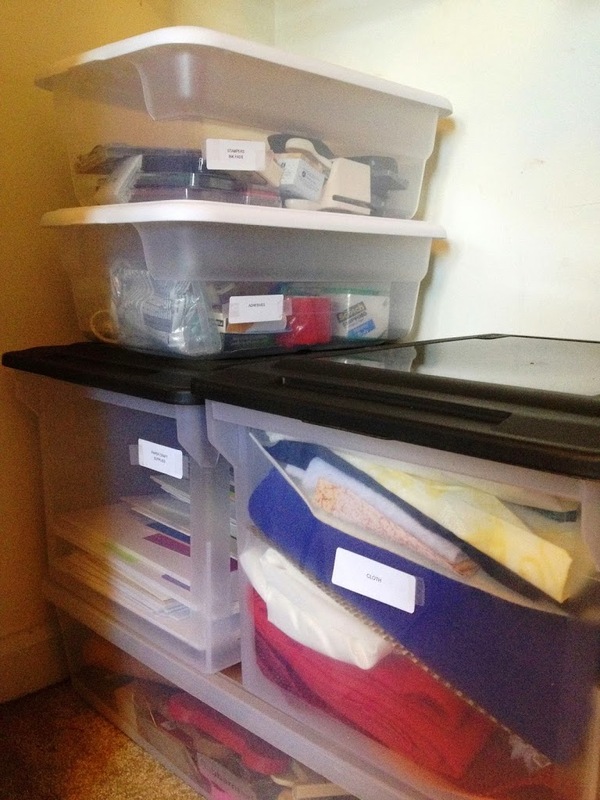 Using plastic bins, storage trays and drawers along with some decorative storage containers, I achieved my goal. 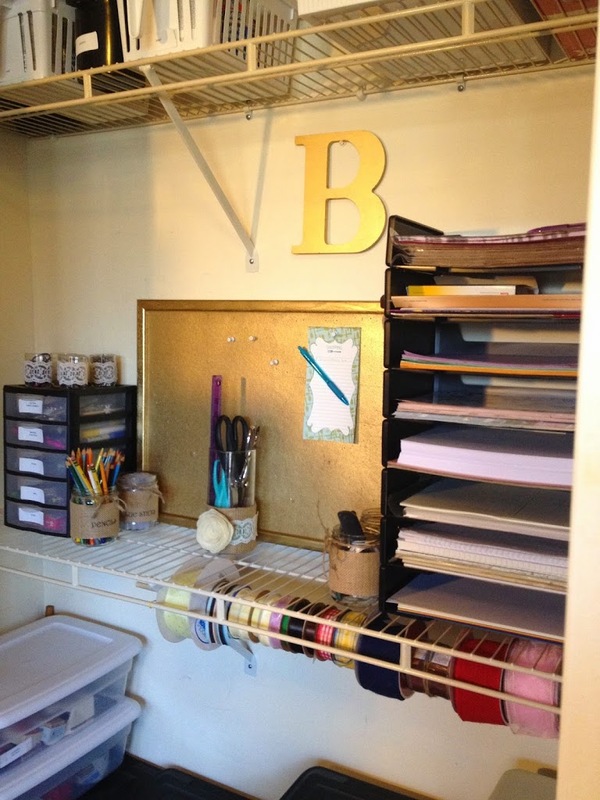 The gold painted initial and bulletin board add a little something extra to the space, I think.The burlap labeled jars and stacking storage rack give functional storage. These decorative DIY pieces were easy to put together. Paint supplies are in baskets on the top shelf. I was determined to find an easy solution for storing ribbon. I used a wooden dowel and slipped rolls of ribbon onto it. 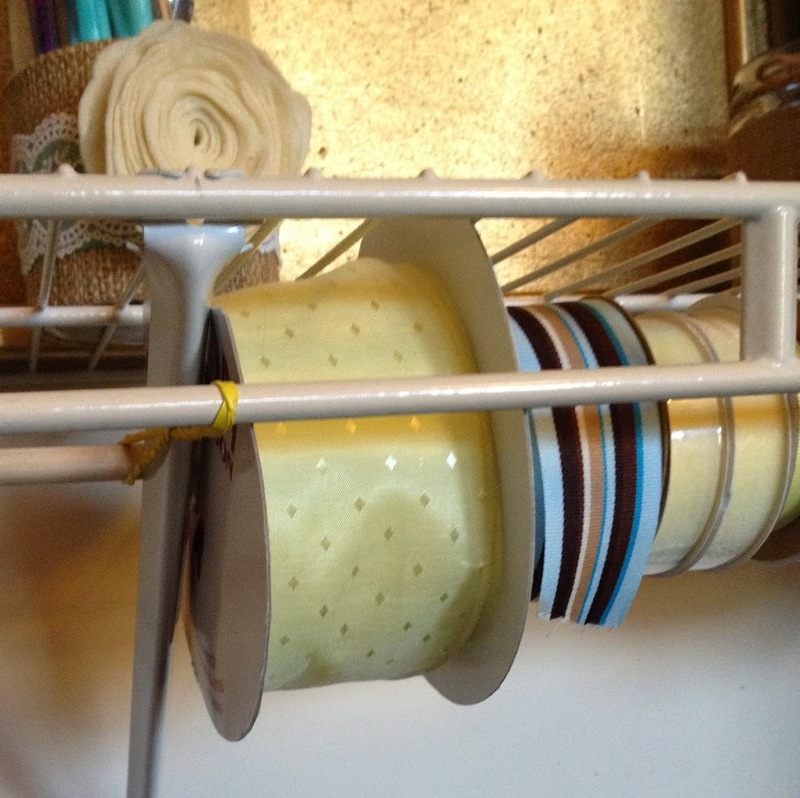 It’s held in place on the closet rack using rubber bands on each end. To remove or add rolls, I’ll have to undo one of the rubber bands, so it’s not the best solution, but it works for me. A little lace never hurts! These hold various pins and rubber bands. 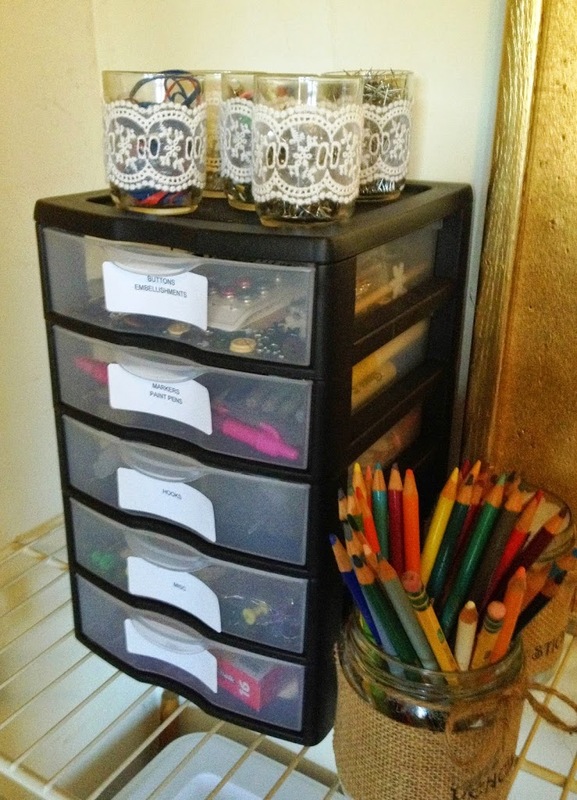 The drawer storage with each drawer labeled is a convenient way to have quick access to items I use frequently. In one of the boxes that was previously pushed to the back of the closet, I found this stacking storage tray that I saved from my teaching days. 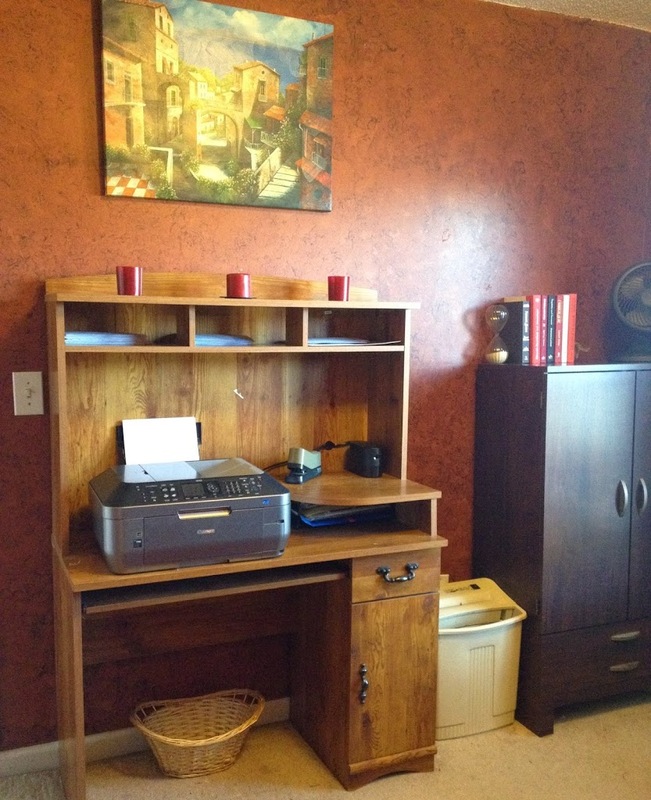 It’s perfect for holding all kinds of paper, burlap sheets and photo paper. I guess hanging onto some things is a good idea! I used Avery adhesive labels to remind me of what’s in what. 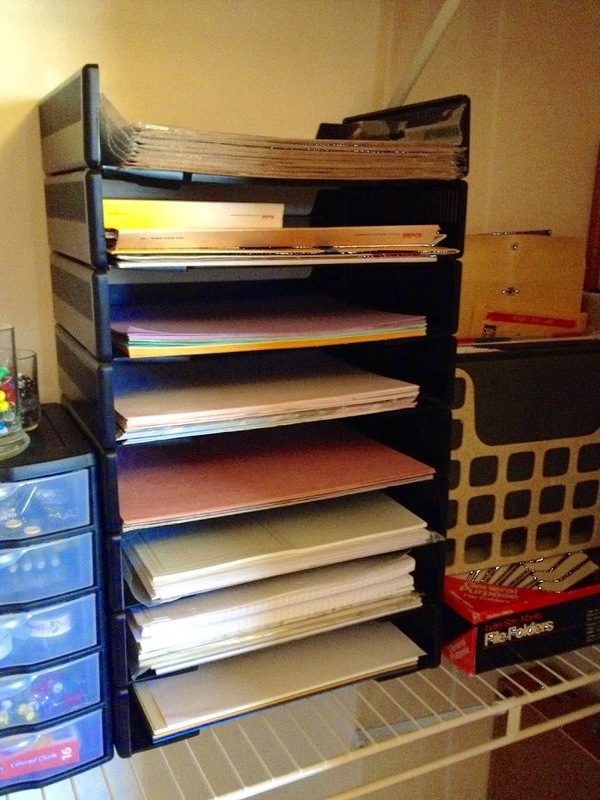 Cloth, Paper Craft Supplies, Wooden Craft Supplies, extra pieces of ribbon, adhesives, ink and stampers all have their separate storage bins. To go from what I had last week to this functional storage space makes me happy! Everything from paint to pencils has a place. 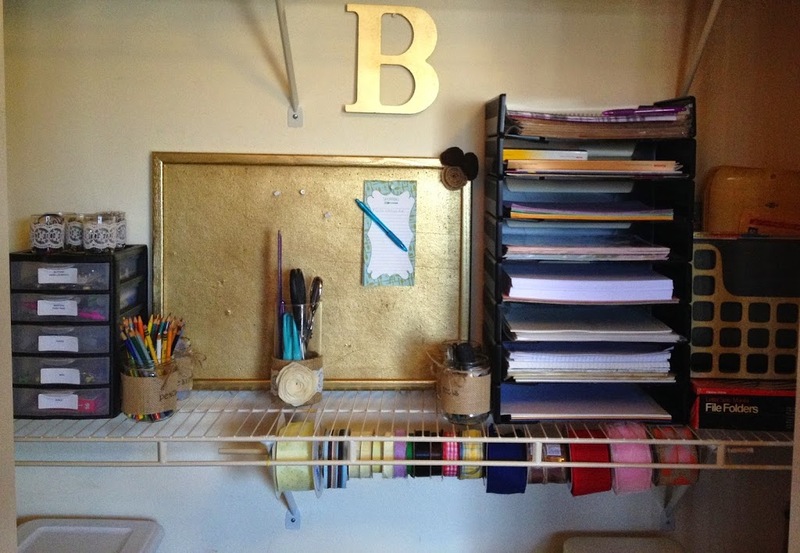 I hope that some of the ideas I’ve used are ones that you can apply to your own craft storage areas. wow! What a difference. It really looks great. Thanks so much, Laurie! It was definitely worth the effort. Great job! Doesn’t it feel so good to get it all cleaned up. I feel like I can think so much better when everything is all neat and tidy. Thanks, Erlene. Yes, it feels amazing. It’s something I’ve needed to do for a long time now. I’m so happy it’s done! 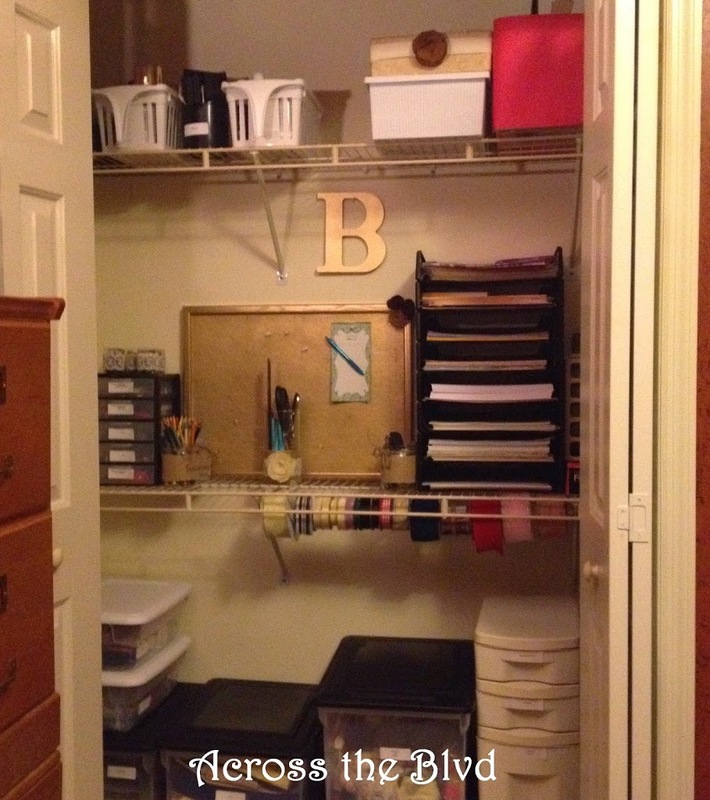 I love an organized closet (even though mine never last long) Thank you for sharing with us at Merry Monday! Thanks for hosting! I was happy to share. I’m determined to keep this one like this!